I forgot to mention that we bought in some onion and shallot varieties to plant as well as trying out a mushroom kit for the first time. 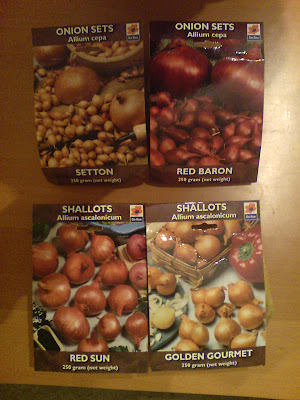 Onions are: Setton & Red Baron. Shallots are: Red Sun & Golden Gourmet. Sounds sensible. Left to our own devices (i.e. 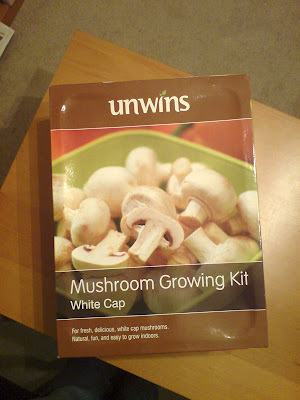 not constarined by what is delivered in the organic veg box) we eat more onions and mushrooms than anything else. I've never had any luck with mushroom kits, but I've had winter onions in the allotment for a while now, and I just planted some maincrop onions as well.